Dr. Blonsky’s specific areas of interest in the GI field include biliary disease, esophageal disease, reflux pancreatic disorders, and colon cancer prevention. 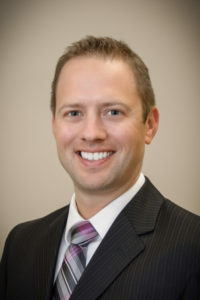 He is proud to be a physician at Adult Gastroenterology Associates (AGA) because of the team’s dedication to deliver the highest quality care to each patient. The AGA partners work together to provide the broad spectrum of care that is needed for patients with varying GI disorders. AGA has been the leading GI group in Tulsa for the last 30 years, with an innovative track record of utilizing new technology and showing excellence in fields such as ERCP and endoscopic ultrasound. In his years in clinical practice, Dr. Blonsky has seen notable advances in medical therapies to treat inflammatory bowel diseases and new treatment for patients with Hepatitis C.